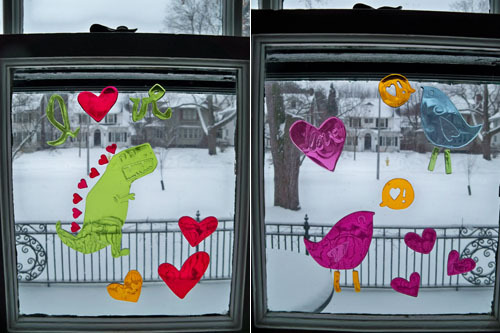 Colorful, funny window clings can help get you through the 17th snow storm of the season. Wonderful - they look like shrinky dinks made from melted gummy bears. Very cute! My book, I usually do things like that. But these are not cute in it. Each measured precisely. For this reason, not that funny.